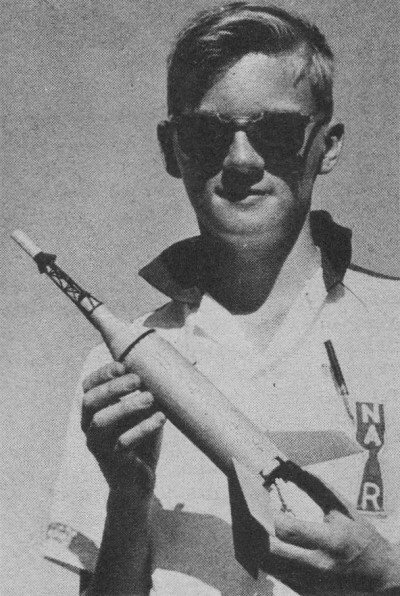 4th National Model Rocket Championships near USAF Academy, Colorado Springs, Colorado, was covered in the December 1962 edition of American Modeler. 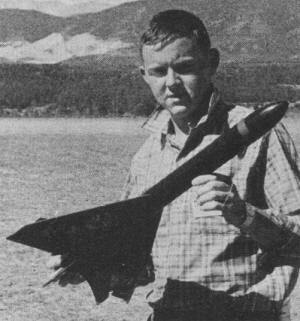 Mr. Harry Stine, who wrote the "Rocket Trails" column for many years, posted a few photos and short descriptions of the participants and their rockets. 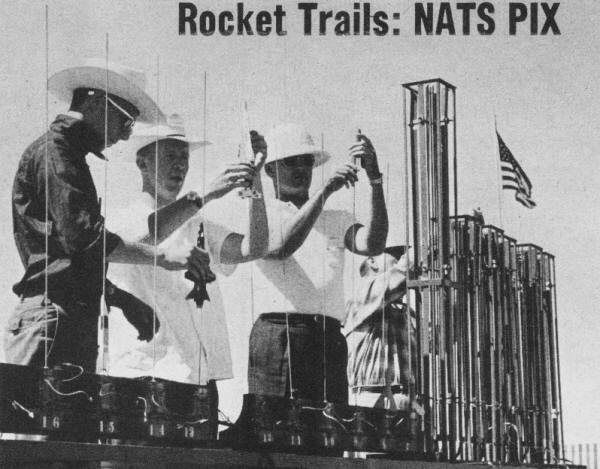 The Front Range region of Rocky Mountains has changed a lot in the half a century since that event was held. I moved to Colorado Springs for the first time in 1992, lived there for a couple years, left, and then returned in 2000 to discover a world of difference in population and housing density in that relatively short time period. 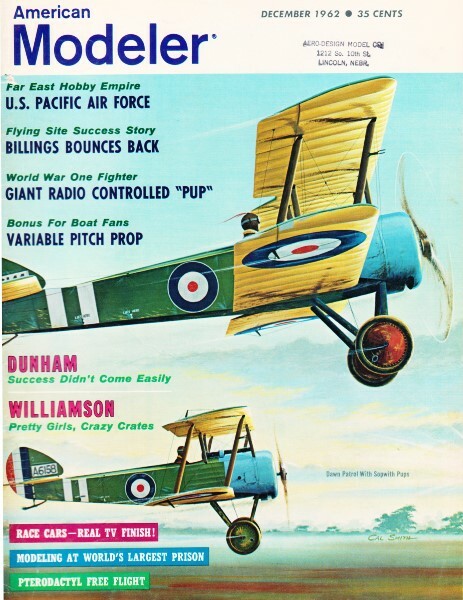 The city had just about doubled its size and pushed about twice as far into the eastern prairie land, which are immensely large areas of flat, treeless, open land that is ideal for launching model rockets and flying free flight and R/C gliders. At 4th National Model Rocket Championships near USAF Academy, Colorado Springs, Colorado (above): Modified-for-flight plastic scale kits are readied by (from left) Bill Simon, Bryant "Red" Thompson, and Brent Norlem. Coaster's Jimmy Jackson (above) with "Centauri" boost-glider. Paul Hans, 15, Manhassett, N. Y.; his NASA "Little Joe" has Mercury capsule atop (right). Top USAF model rocketeers with U.S. Air Force Academy head (from left): Capt. David Barr; Lt. Thompson; Major General Robert H. Warren, superintendent of Air Force Academy; Capt. David E. Bell.